The PPC-51xxA-H61 series support 2nd /3rd Generation Intel® Core™ i7/i5/i3, Pentium® and Celeron® desktop processor for cost-effective optimized performance H61 platforms. » 15��/17��/19�� support 2nd /3rd Generation Intel® Core™ i7/i5/i3, Pentium® and Celeron® desktop processor. » PCIe mini card provides either mSATA storage or WIFI module. Comparing to mobile solution, Intel H61 with desktop CPU provides high performance. » LED backlight (15��/17��) allows extended operating temperature up to 60 degree or down to -20 degree. PPC-51 H61 series adapt dual combo Gigabit LAN for long-term transmission which is suitable for communication environment. Transmission distance up to 120 km!! 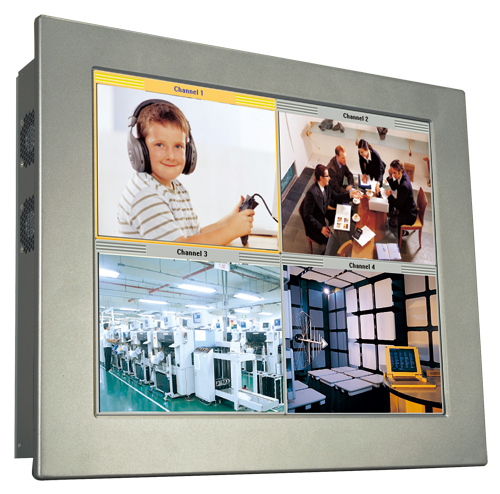 We have LED backlight in our PPC-51 H61 series, improving display capability in high quality. The user can choose optimal demand from three storage choices , which is included HDD drive bay , CF Type ��and mSATA mini card. The anti-shock design enhances HDD reliability and protects from external shock and vibration. Display LCD Size 15 " 17 " 19 "
SATA CD-ROM Cable 32803-000300-100-RS SLIMLINE SATA 7+6 P TO SATA 7P /4P POWER ,L=200/150mm.